Every year, I make a point of rounding up students in my department and encouraging them to volunteer one evening judging our local science fair. This year, the fair was held at the start of April, and featured over 200 judges and hundreds of projects from young scientists in grades 5 through to 12, with the winners going on to the National Championships. Perhaps the most rewarding part of volunteering your time, and the reason why I encourage colleagues to participate is when you see just how excited the youth are for their projects. It doesn’t matter what the project is, most of the students are thrilled to be there. Add to that how A Real Life Scientist (TM) wants to talk to them about their project? It’s a highlight for many of the students. As a graduate student, the desire to do science for science’s sake is something that gets drilled out of you quickly as you follow the Williams Sonoma/Jamie Oliver Chemistry 101 Cookbook, where you add 50 g Chemical A to 50 of Chemical B and record what colour the mixture turns. Being around excitement based purely on the pursuit of science is refreshing. However, the aspect of judging science fairs that I struggle most with is how to deal with the wide range of projects. How do you judge two projects on the same criteria where one used university resources (labs, mass spectrometers, centrifuges etc) and the other looked at how high balls bounce when you drop them. It becomes incredibly difficult as a judge to remain objective when one project is closer in scope to an undergraduate research project and the other is more your typical kitchen cabinet/garage equipment project. Even within two students who do the same project, there is variability depending on whether or not they have someone who can help them at home, or access to facilities through their school or parents social network. Childhood obesity drops 40% in the last decade. Or not really, but who’s checking? This is where things get interesting, as the focus was not on the 5.5 percentage points difference. Instead of reporting the absolute difference, i.e. how much something changed, news outlets focused on the relative difference, i.e. how much they changed compared to each other. In that case, it would be (5.5/13.9 =) 40%. Which is much more impressive than the 5.5% change reported in the study. So you can guess what the headlines loudly proclaimed. Let me tell you a story about William Sealy Gosset. William was a Chemistry and Math grad from Oxford University in the class of 1899 (they were partying like it was 1899 back then). 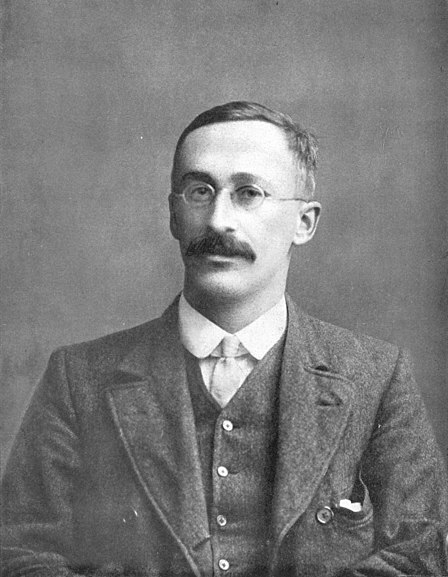 After graduating, he took a job with the brewery of Arthur Guinness and Son, where he worked as a mathematician, trying to find the best yields of barley. But this is where he ran into problems. One of the most important assumptions in (most) statistical tests is that you have a large enough sample size to create inferences about your data. You can’t make many comments if you only have 1 data point. 3? Maybe. 5? Possibly. Ideally, we want at least 20-30 observations, if not more. It’s why when a goalie in hockey, or a batter in baseball, has a great game, you chalk it up to being a fluke, rather than indicative of their skill. Small sample sizes are much more likely to be affected by chance and thus may not be accurate of the underlying phenomena you’re trying to measure. Gosset, on the other hand, couldn’t create 30+ batches of Guinness in order to do the statistics on them. He had a much smaller sample size, and thus “normal” statistical methods wouldn’t work. Gosset wouldn’t take this for an answer. He started writing up his thoughts, and examining the error associated with his estimates. However, he ran into problems. His mentor, Karl Pearson, of Pearson Product Moment Correlation Coefficient fame, while supportive, didn’t really appreciate how important the findings were. In addition, Guiness had very strict policies on what their employees could publish, as they were worried about their competitors discovering their trade secrets. So Gosset did what any normal mathematician would. He published under a pseudonym. In a startlingly rebellious gesture, Gosset published his work in Biometrika titled “The Probable Error of a Mean.” (See, statisticians can be badasses too). The name he used? Student. His paper for the Guinness company became one of the most important statistical discoveries of the day, and the Student’s T-distribution is now an essential part of any introductory statistics course. If the average of three distinct positive integers is 22, what is the largest possible value of these three integers? The average of the integers 24, 6, 12, x and y is 11. What is the value of the sum x + y? Last week, my colleague Cristina Russo discussed how sports can be used to teach biology. Today I’m going to discuss a personal example, and how I use sports to explain statistics. One of my main objectives as a statistics instructor is to take “fear” out of the equation (math joke! ), and make my students comfortable with the underlying mathematical concepts. I’m not looking for everyone to become a statistician, but I do want them to be able to understand statistics in everyday life. Once they have mastered the underlying concepts, we can then apply them to new and novel situations. Given most of my students are athletically minded or have a basic understanding of sports, this is a logical and reasonable place to start. Anyone who has been following my posts knows that I have a huge weakness for sci-fi and science, and if someone was to marry the two of those together, I’d be there immediately. Especially if it involved Battlestar Galactica, Star Wars or Middle Earth. The Canada Aviation and Space Museum is currently hosting Star Wars: Identities. Star Wars: Identities is a travelling exhibit that highlights human development using the mythos of the Star Wars universe. I had been keeping an eye on this exhibit as a few years ago I had been to the Indiana Jones and the Adventure of Archaeology exhibit in Montreal, which was excellent, and the same organization (X3 Productions) was responsible for this one. And when I found out they were using Star Wars to teach people about psychology, I knew I had to go. You see, we all have questions about how and why people turn out the way they do. Even people raised under the same roof can have wildly disparate personalities, and can view the world through very different lenses. The exhibit highlights the difference between Anakin and Luke Skywalker, and how, despite coming from the same planet and having (similar) genetic makeup, their lives take two very different trajectories based on their experiences and the environments they are exposed to. Those of you who know PLOS know that PLOS is a big advocate of Open Access – making research and findings available to everyone. To support Open Access work, and to highlight innovative and creative uses of OA, PLOS recently announced the new Accelerating Science Award Program (ASAP), three $30,000 award aimed at highlighting three exceptional ways that individuals have used OA research in fields as diverse as science and medicine, technology or even at the societal level. Nominees can be individuals, teams or cross-disciplinary groups – as long as the Program Rules are met, it’s all fair game! I wanted to highlight this award for our readers, as I’m sure there are some of you using OA research in innovative ways, and I strongly encourage all of you to consider nominating yourself (or others) for this award. I also ask that you spread the word through your institutions, organizations and other connections – this is a great initiative and can help promote excellent Open Access work that is occurring worldwide. The deadline for ASAP nominations is June 15, 2013, using an online form located on the ASAP website. Some specific details about the award: The project/idea must be based on research articles or content published through Open Access before May 1st, 2013 in a peer-reviewed journal or in a repository recognized in the Open Access community. If the use results in a publication, the publication must be Open Access. For those interested, there are details available on the Program Rules. From the ASAP FAQ, here are some examples. These are for illustrative purposes only and don’t refer to anyone in particular, and there are other projects that would fit the ASAP requirements. If you are unsure, you can contact ASAP[at]plos.org to check. I’m excited to see the nominees for this award, and I can’t wait to see how people have used OA research in new and creative ways. Good luck to all the nominees!